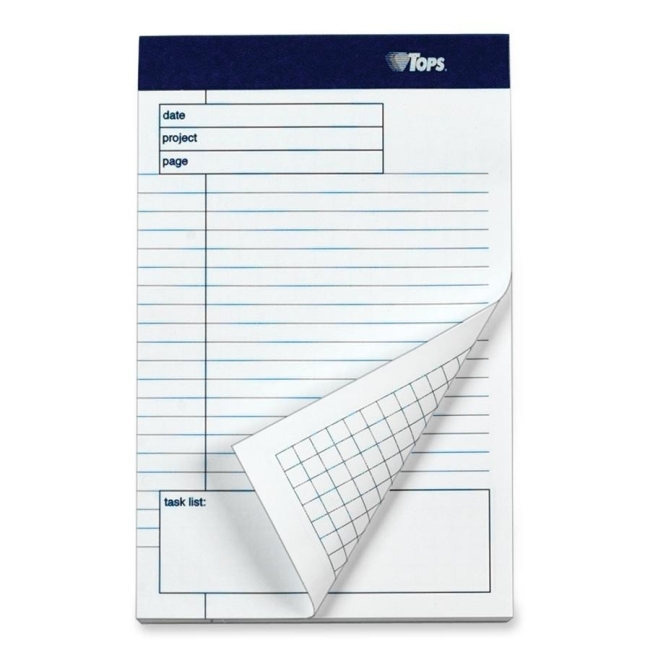 Tops Planning pad with Ruled Task List - 5" x 8"
Project Planning Pads are designed for project managers and supervisors in any field. Each lined sheet features a margin and an unruled box labeled "task list" at the bottom. The back of each sheet is grid-ruled 4 squares per inch. Top of each sheet provides space for a date, project title and page number for easy reference. Planning pads have Letr-Trim perforation for clean and easy sheet removal. Heavyweight paper prevents bleed-through to next sheet. Extra-thick backer supports writing without a desktop or clipboard. 40 sheets per pad.